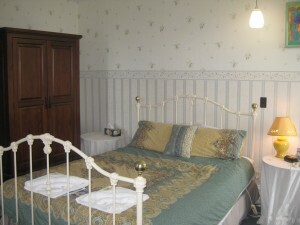 Hi Alice here, this post will introduce the flower Room. 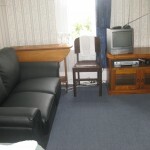 The flower room has recently been decorated with new wallpaper,a new leather couch, and a beautiful TV cabinet and wardrobe.The flower room is a very sunny and quiet room and has a nice view over Dunedin City. The flower room shares a bathroom with the book room. 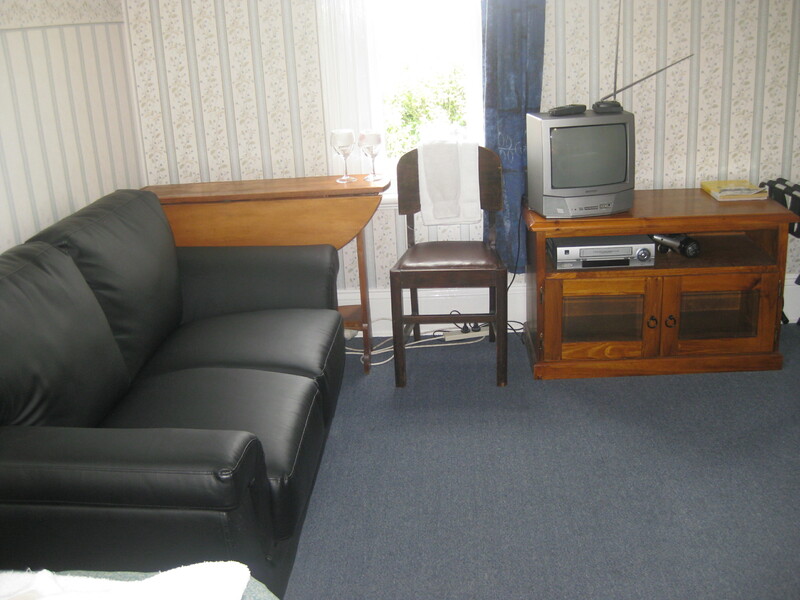 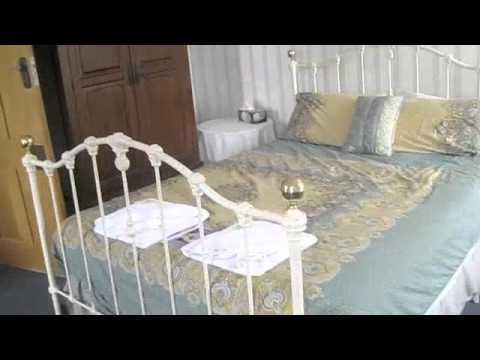 The flower room is peaceful and relaxing room sure to comfort you after a long day exploring Dunedin or arriving after a long day of travels. 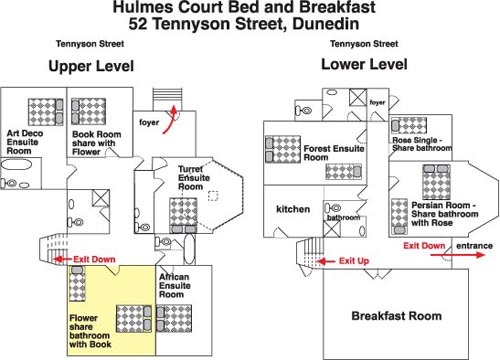 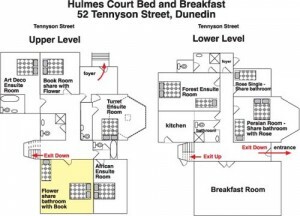 This plan shows the location of the Flower Twin Room at Hulmes Court, this room shares a bathroom with the Book Room.